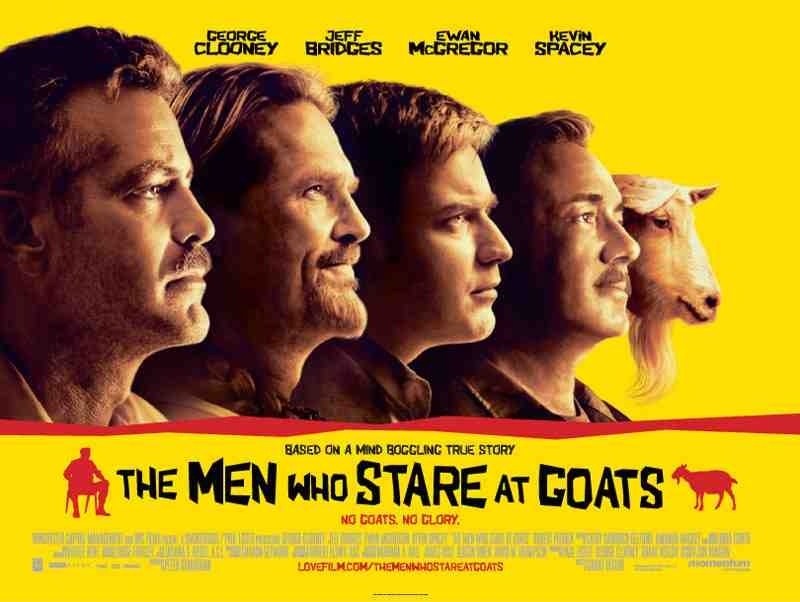 Starring: George Clooney, Ewan McGregor, Jeff Bridges, Kevin Spacey, Stephen Root, Robert Patrick, Stephen Lang, Rebecca Mader, Glenn Morshower. Grant Heslov is mainly known for his producing and writing collaborations on some of George Clooney film’s. However, on this occasion he takes the directorial reigns, leaving me wondering what might have come of this film had someone with more experience been behind the camera. In the 1980’s, reporter Bob Wilton (McGregor) stumbles onto the story of the ‘New Earth Army’, a bold, experimental unit formed by the U.S. It’s purpose is to train so-called ‘Jedi’ warriors to use paranormal powers, including mind control, for the use in battle and to help in the interrogation of prisoners at Guantanamo Bay. Then he meets one of the unit’s major players Lyn Cassady (Clooney), now supposedly retired, and tags along for a series of misadventures in Iraq. Amazingly, this is based on a true story and with this prior knowledge and superior cast, you’d expect something quite special. Sadly, it doesn’t provide it. It starts off, looking very good indeed but after the half hour mark I started drifting when the realisation came, that it wasn’t going anywhere. 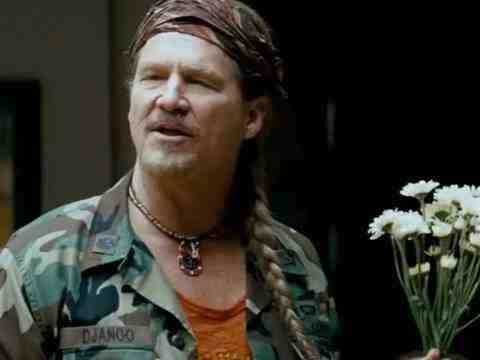 The cast are excellent as you’d expect; Clooney, once again, shows nice comic touches and expressions, Spacey is under-used but still manages scene stealing moments and Bridges is absolutely brilliant as the spaced out, hippie commander Bill Django – which is a little reminder of his iconic portrayal of “The Dude” from “The Big Lebowski“. McGregor also does well, amongst these heavy hitters and has nearly developed a decent American accent. It’s just a shame that their performances were not helped with something that resembled a script. To be fair though, there are still some nice comedy moments and there are many interesting components to the story but it lacks drive. Maybe it’s because the assembled cast is so impressive that more is expected. Or maybe, it’s because it’s in the hands of a novice director – punching above his weight. Either way, it disappoints. This is a film that the likes of the Coen brothers could have taken to great heights. It has a similar sense for the brothers’ off-beat humour but lacks their creativity. A passable comedy, that amuses sporadically but relies too heavily on it’s four main performers. It’s them that maintain your interest but the material should have been delivered with more confidence. This entry was posted on March 30, 2012 at 1:17 pm and is filed under Comedy, War with tags 2009. You can follow any responses to this entry through the RSS 2.0 feed. You can leave a response, or trackback from your own site. I never saw this film and after reading your review I know why. It just didn’t look that special. Grant Heslov didn’t pen this, but I’ve noticed his writing has this sanctimonious quality as if he’s teaching a naive audience something shockingly original. This was a film I seen years ago but just got around to adding my review on here. Because of the cast, I really wanted to like it more but it was seriously lacking and I think Heslov is at fault. I have to say though, I absolutely loved Good Night and Good Luck but I’ve yet to get around to The Ides Of March. I was so hugely disappointed by this film. Not that it was terrible or anything, I enjoyed it well enough…But the potential! Oh, the potential. I totally agree Andy. How many times would you get these four actors together? It had some things to recommend it but as you say, the potential. Wasted. I wanted to watch this based on the cast (Clooney, Spacey, McGregor and Bridges TOGETHER? Pretty hard to resist) but it looked too silly. It is silly Fernando. It’s also fun but not long into it, it becomes surprisingly tedious. It’s worth a look, just don’t expect a classic – despite the cast. The book comes highly recommended from a lot of my friends. As for the film, I agree with most people. On paper it looks to be fantastic with it’s four leading actors and it’s blurb, but in the end was disappointing.